Even with the full moon, it was dark on those Indiana back roads…and as we approached what the GPS said was the Hassler driveway, we thought we better call them just to make sure. Me: Hi Rachel! We’re here…but it’s dark, where do we turn? Rachel: Keep driving. Do you see me? I’m waving the flashlights off to your left in the field. Me: (looking left, I squint my eyes searching for lights in the darkness) Oh yes! There you are! And so began our weekend in Indiana. As we followed them into their farm, our headlights shining deep into the darkness…Chad ran ahead to open the gate and I invited Rachel to jump into the RV for the rest of the ride. When she opened the door, we gave each other a big hug. The kind of hugs given by friends who haven’t seen each other in a long time. Only with this friendship, we had never seen each other before. Rachel and I have been emailing, writing “real” letters, and sending care packages for about a year now. She had started reading my blog and then we started conversing back and forth…and before you knew it, we were friends. I LOVE getting “real” mail, and so does she. Rachel has a beautiful style of writing and I squealed with joy whenever a letter arrived in the mailbox from Indiana. I love reading her blog as well…her writing is inspiring. When we had some changes in the tour itinerary, I was quick to add a stop to see her and her cute little farm and family. We awoke to the cries of the rooster each morning. A big white rooster who had quite the attitude. I have a slight obsession with chickens…so having them walk around in the yard with me was just too fun. I couldn’t help but talk to them too. I loved watching them eat and take dust baths and run after each other. I told Matt that I really wanted to rig some sort of mobile chicken coop trailer to pull behind the camper. He didn’t go for it. Then I tried to convince him I could house a little pig in our bathroom. That was a no-go. Oh well. I think I must be a farm girl at heart…even though I’ve never lived on or near one in my life. I’m attracted to the simplicity and the hard-work ethics. It was so refreshing to have some “down time” and we basked in the open fields and crisp air. The weather was beautiful and the food delicious. Rachel cooked up an oatmeal bake the first morning, a risotto and sweet potato delight that night, and on Saturday morning we enjoyed fresh eggs and pancakes with pure maple syrup. Like heaven. She also let me use her huge clothesline to hang my laundry…it overlooks miles and miles of fields and farms. Quite a different view that the one I had of the mountains back in Bozeman! The clothes smelled soooo good….yum. Bella had such fun running around the farm doing all sorts of “farm things”. She chased the kitties around endlessly. She wore her pink rubber boots like a girl who had been doing it her whole life. 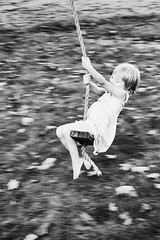 She swung and swung and swung on the tree swing. She helped Chad pick eggs from the hen house. She saw pigs. She saw cows. She hung clothes on the clothesline. Overall, she just had a great time being able to run. It was so great that she could just play outside whenever she wanted. She also loved to play with their little boy, Oliver. Sometimes she would “love” him a little too much, but she’s learning. Chad and Rachel have a wonderful love for each other and for the Lord. It was so encouraging to see their how their values and their faith are interwoven into how they live their life. We felt like we could have stayed another week…but the road was calling. I know we will be back to Indiana again someday. I miss you already my friend!